Oh the wonder and fun of the Christmas season! 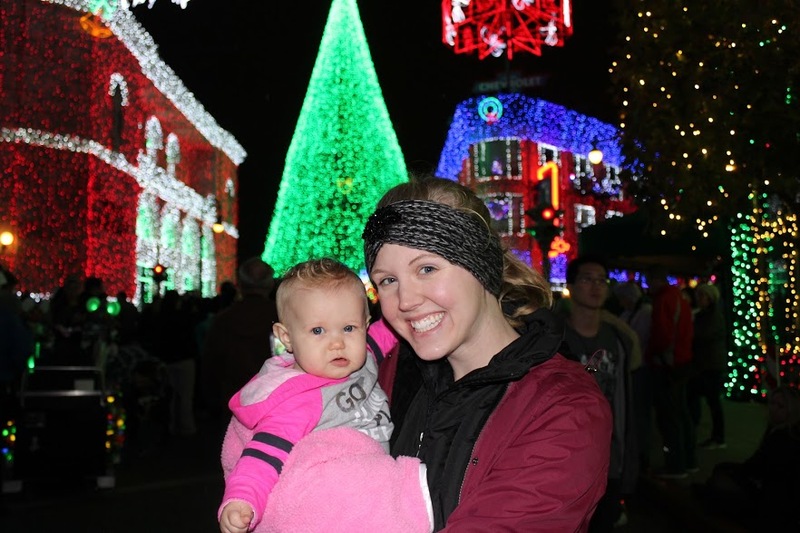 Christmas is so much more special and magical with a little one. 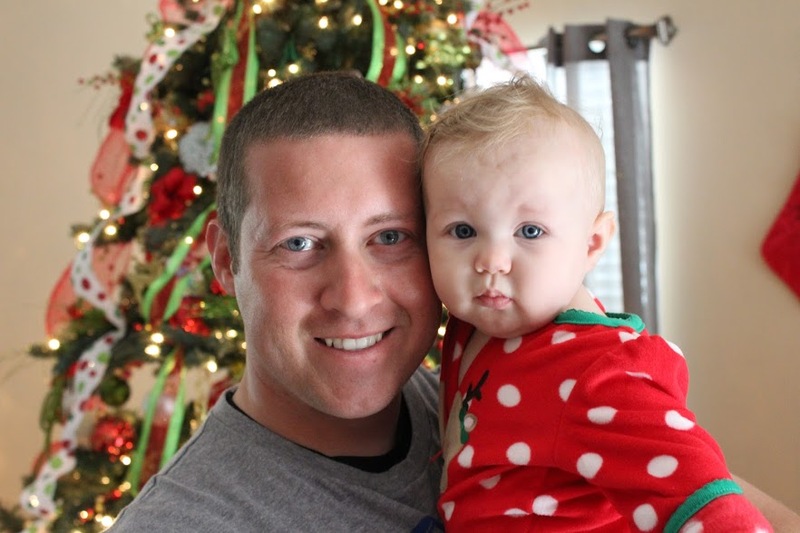 Even though our princess is only 6 months old this Christmas, it still gave my husband and I the opportunity to discuss what traditions we wanted to start moving forward. 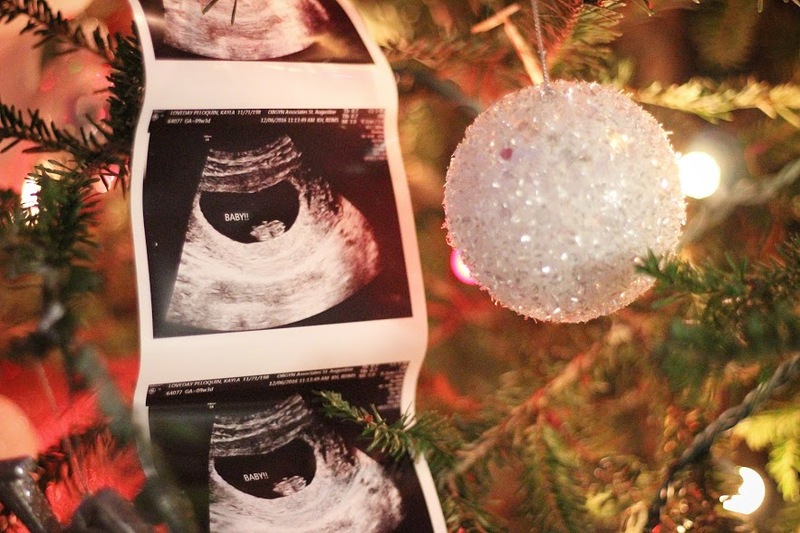 Christmas is a big deal for both of our families, so it was a lot of fun remembering all the fun things we experienced as kids and deciding which traditions we wanted to continue for our growing family. 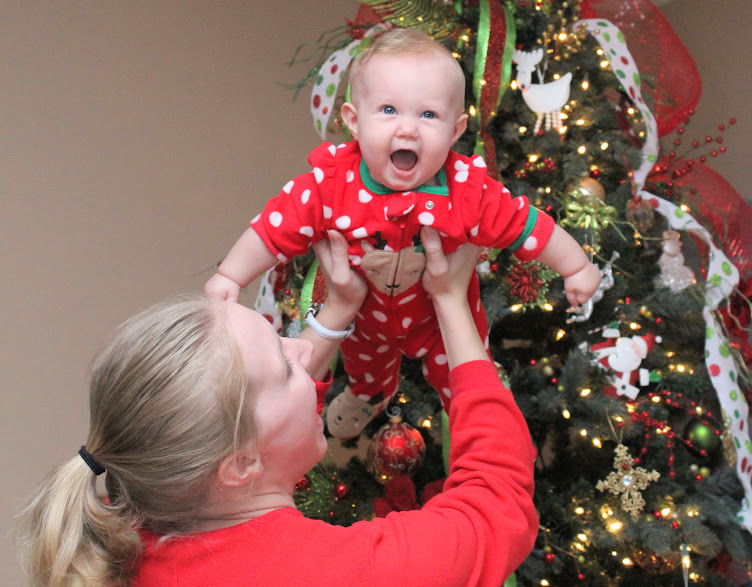 Here’s a few of our family’s traditions for baby’s first Christmas. My mother in law used to always let her children open one gift on Christmas Eve containing PJ’s, a movie, popcorn, hot chocolate and their favorite movie snack. Even as a newly married couple, when we spent Christmas at her home we were still given this “special” gift. It’s a great start to the Christmas Day festivities! 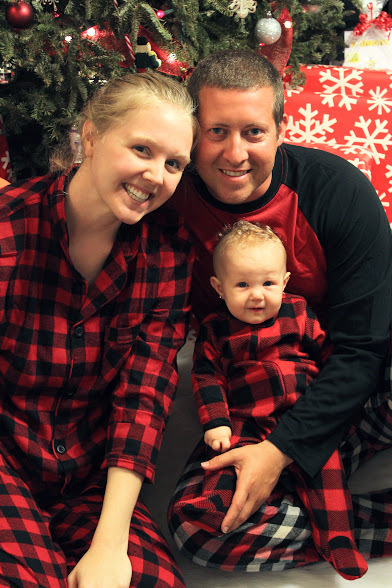 This year we all had matching plaid pajamas which made for such cute pictures, bringing me to my next tradition…. Prior to opening gifts, we had the camera set up on a tripod using the timer function so we could take a family picture. I love this idea! It will be so neat looking back and seeing pictures from each Christmas and having the WHOLE family in them. I also brought my camera to each home we visited (my parents, his sister, and two sets of grandparents, whew!) and took group pictures of all in attendance at each stop. Growing up in my family, sugar cookies were the staple item around Christmas time. As a kid, I remember rolling out the cookie dough, using cookie cutters and then decorating our own cookies. This is definitely something I intend to do with my children. My sister in law threw me a Christmas Shower before my wedding. My mom gave me an entire cookie kit including a cookie gun and her prized (hand-written) sugar cookie recipe. Something I will forever treasure. Though some people think this is totally creepy, I love the elf on the shelf idea! The whole concept. The story, the elf, the creativity. It just calls to me. 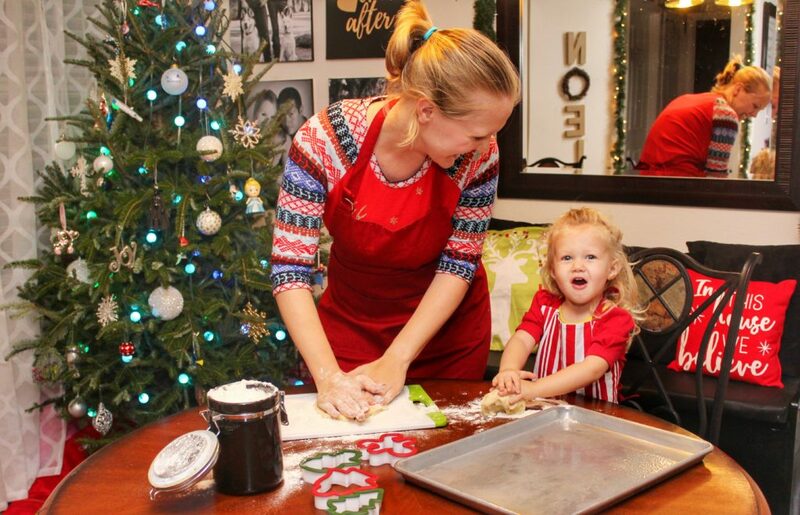 I even styled a ‘North Pole Breakfast’ party for work this year which was inspired by Elf on the Shelf, you can check it out here! 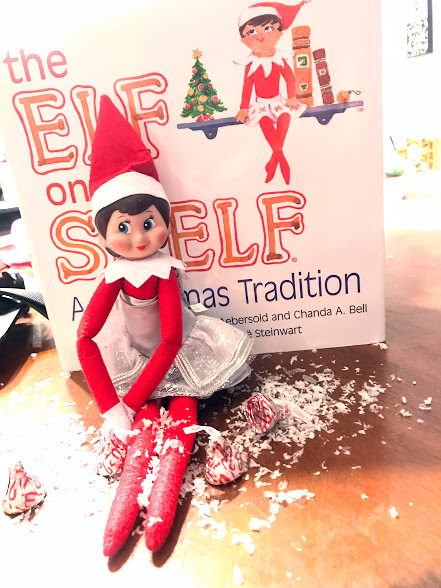 We purchased an elf this year from a seller on Swip Swap for a great deal! We’ve decided to let the princess name her when she can speak. But I look forward to this for future Christmases. Growing up, my husband and I both picked out a new ornament every year. When we were married, our mothers both gave us our boxes of ornaments. Every year it is such a walk down memory lane to go through our ornaments and decorate the tree together. As the princess grows up, and we have more kids, we hope to continue this tradition so they will also have a box of ornaments to pass on to their families. Of course, the first ornament for the princess this year was pink and sparkly. Both of our families have always stressed the true reason for the season, the birth of our Savior, Jesus Christ. My family always attends Christmas Eve Midnight Candlelight Service at this beautiful historic church in Downtown St Augustine. My husbands family reads the Christmas story from the Bible on Christmas morning before opening gifts. 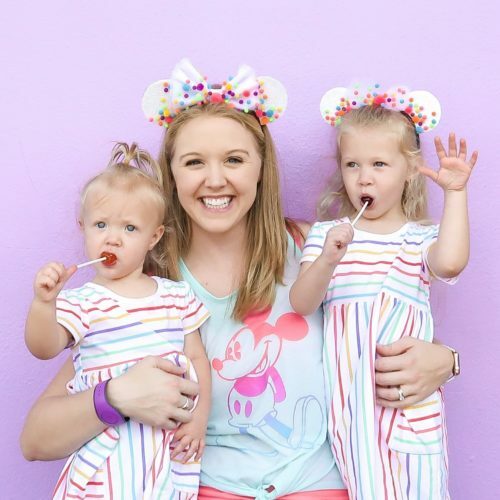 While our princess is too little to understand these traditions, it is still important for our family to ensure she is raised with an understanding of why we truly celebrate this holiday, whatever form it may take, Jesus is the Reason for the Season. Last but not least, I am a big movie fanatic! Nothing screams Christmas time more than classic movies. This year I added several movies to our DVD collection(Rudolph, Frosty, Year without a Santa Claus, etc). Even at 6 months old, it was such a neat experience to watch my daughter see these movies for the first time. She squealed with delight overtime she saw Rudolph and could not take her eyes off of the Snow Miser, one of my favorite parts too! Nothing beats the classics when it comes to Christmas movies.